See the full year of Full Moon names and their meanings. This year, April’s full Moon is also connected to Easter. It’s what’s known as the Paschal Full Moon—the full Moon that determines Easter’s date. Read more about this curious connection here. This year, the Full Pink Moon reaches peak fullness at 7:12 A.M. (EDT) on Friday, April 19. For the best view, watch for the Moon on the night of the 18th, when it will be at near-peak fullness and shine bright in the sky. All dates and times are ET. See our Moon Phase Calendar to customize times to your location. New Moon: April 5, 4:50 A.M.
First Quarter: April 12, 3:06 P.M.
Full Moon: April 19, 7:12 A.M.
Last Quarter: April 26, 6:18 P.M. When is the next full Moon? See our Full Moon Calendar to find out! On April 20, 1972, the lunar module of Apollo XVI landed on the moon with astronauts John Young and Charles Duke aboard. Thomas Mattingly remained in orbit around the moon aboard the command module. One day later, on April 21, 1972, Apollo XVI astronauts John Young and Charles Duke drove an electric car on the surface of the moon. It’s still up there along with some expensive tools and some film that they forgot. According to folklore, the period from the full Moon through the last quarter of the Moon is the best time for killing weeds, thinning, pruning, mowing, cutting timber, and planting below-ground crops. Read more about Gardening by the Moon. Below are the Best Days for activities, based on the Moon’s sign and phase in April. See Best Days for more activities. Each month, we will explain the traditional names of the full Moon along with some interesting and insightful Moon facts. Click below to watch the video. Share your thoughts about this month’s Moon below! Boy oh boy am I ready for this one! First things first, I am very excited about this moon. This moon is one of my favorites. Mainly just the moon itself, but also this phase of the moon. Boy I love full moons. However, I am curious as to why this has been deemed the pink moon and -not- the egg moon. Who picks the name? Who owns the moon? No one. Should we even be naming the moon? We have no right. No right! The moon is the moon and that’s all there is to it. I appreciate your support in the moon but I have to say that this is breaching on the moon’s autonomy. But also I would rather it be called the egg moon. My phlox started blooming yesterday! Maybe it's me, but the full moons have been huge! Just beautiful. Thank you moon, for a lovely Birthday present! I can see the full moon clearly from my back yard, and it looks like a regular full moon, except I see a halo at the bottom of it. Is it the moon or my eyes? But....it's not pink. In spite of the name, April’s full Moon will not appear pink (unless perhaps due to particles in the atmosphere, such as ash). The name instead refers to pink flowers that bloom at this time of year. The partial halo that you noticed might be due to ice particles in high clouds (cirrus) in the atmosphere. Moonlight may refract/reflect when hitting the crystals, causing a halo. Weather lore says if you see a halo around the Moon, it often indicates that it will rain soon. This is really cool ,My birthday is on 4/22 , I thought it was cool that it was on a full moon and earth day but a pink moon too ,that's just crazy . Hope it's a good day , thanks for the information. An original composition…Now that is over the Moon!! The moon was blood red where I'm located!!! It was beautiful!!! The moon looked orange and very eerie over the ocean in saco but it was beautiful! Thank You for always offering excellent Moon Information! I would love to see more about "Old Stories" and Folklore! I too was raised with a Respect for the Moon and that our Universe is FULL of still yet Unknown, yet sometimes predictable Phenomena! Interesting! Happy Easter to everyone! Will we see other day/year of pink moon beside tonight. Is that once a lifetime chance? Will be there more pink moon in near future? Please help, if you know answer and a website confirms it. "Pink Moon" is a name for the full Moon around the time of April, when the moss pink, or wild ground phlox, is in blossom. The name was used by the Algonquin tribe, as well as by colonial Americans. So every year, a traditional name for the full Moon in April is the Full Pink Moon. It has other names, such as Sprouting Grass Moon, the Egg Moon, Fish Moon, Wildcat Moon, Deep Water Moon, Boiling Down of Sap Moon, and several more. If you'd like to explore Moon names further, you might check out online sources or books that cover Native American/First Nations timekeeping systems, as well as Moon folklore. Thanks for your poem, it was beautiful. I've been there and got my heart broken. But I'm still glad I've been there! may I just say .My mum once said there actually WAS a blue moon it was due to atmospherics or some thing (wasn't the drink they didn't drink) It s got to have been in the early 50s as theyd been to the pictures when they were courting they married in 1954 .. The Moon is the same color as always (white). April's Full Moon is traditionally called the Full Pink Moon because of the seasonal appearance of the moss pink, or wild ground phlox—one of the first spring flowers! A literal blue moon occurred in 1883, and was due to the massive explosion of the volcano Krakatoa in Indonesia. The volcano spewed so much dust and ash into the atmosphere that the moon appeared to be blue for the next 2 years or so. Other smaller eruptions have created shorter-lasting blue moons (such as Mount St. Helens in 1980 or Mount Pinatubo in 1991). There was also one which occurred in September of 1950, due to several very large wildfires in Alberta. This is likely to be the one Heather Bentley said her mother told her about. I myself remember seeing at least one blue moon when I lived in Los Angeles between 1988 and 1991, simply due to the level of smog in the atmosphere. The term "blue moon" is also used to describe the 13th full moon which occurs within a single calendar year. This happens once every 2 or 3 years, and is simply the result of the lunar cycle being 28.5 days (or 342 days in a full 12-moon cycle), while the Earth's cycle is roughly 365.25 days. 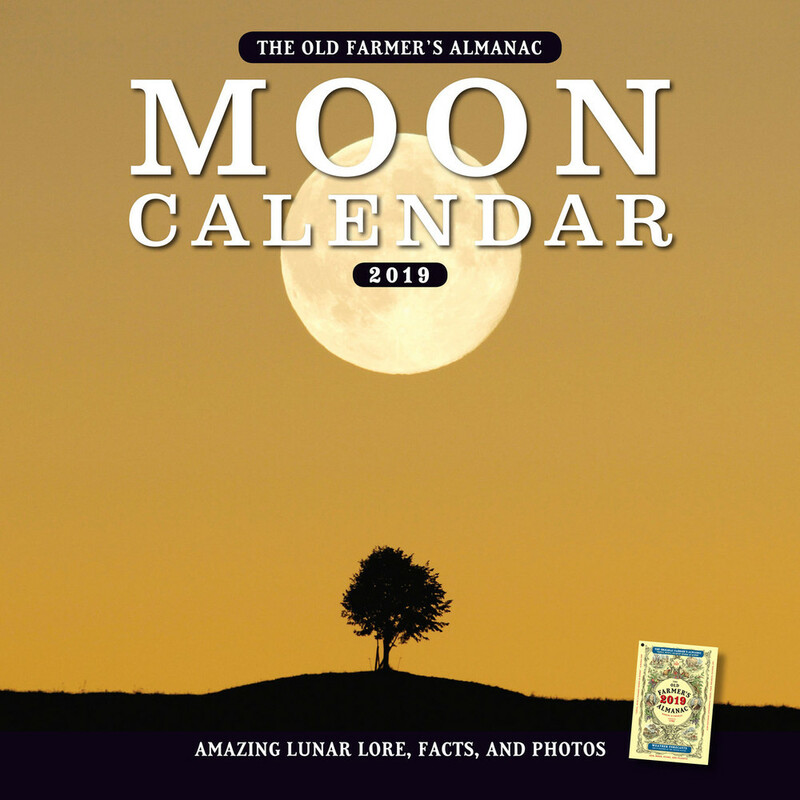 Normally this produces 12 full moons, 1 per month, but if a full moon occurs within the first few days of the year, there will be a 13th full moon in the last few days of the same year. I am sorry, but unless you can change into a werewolf in front of me like they show on TV how they change there, you will not get me to believe that they are real and nether are you, Thank you. Really? Nobody is trying to convince YOU of anything. The almanac is one of the most accurate of resources in the world AND has been around for decades. Have a little respect. If you would read what I stated, you would see that I was not talking about the Farmers Almanac. Read what people are talking about next time. Thank you.